The Gillard government is being urged to crack down on junk food and alcohol advertising now that it has taken on big tobacco by legislating for plain packaging of cigarettes. The Australian Medical Association (AMA) says it should be easier for Australians to make healthy choices about their lives. "There has been significant progress on the part of governments in tackling smoking rates but gaps remain regarding excess weight and excess alcohol use," the AMA states in its federal budget submission released on Tuesday. "Excessive alcohol use, excess weight and smoking continue to put Australians at high risk of serious diseases and these behaviours reduce people's life expectancy by five years on average." Federal Labor is forcing all smokes to be sold in drab olive-brown packs from December. It's also moved to ban tobacco companies from advertising their products on the internet. But health experts have been disappointed the government has refused to implement the key recommendations of its own preventative health taskforce when it comes to junk food and alcohol. The government baulked at blanket advertising bans in 2010, arguing that both fast food and alcohol could be consumed in moderation, whereas even one cigarette caused damage. But the AMA insists action needs to be taken. It wants alcohol advertising restricted to publications, locations and times that minimise their influence on people under the age of 18. The doctors' lobby group also wants the government to ban all marketing which specifically targets teenagers and to prohibit alcohol manufacturers from sponsoring sporting events. On the fast food front, the AMA submission argues ads pushing energy-dense and nutrient-poor products onto children should be outlawed "particularly in children's television viewing times". "Rates of overweight and obesity are unacceptably high among Australian children," the association says. The AMA also supports mandatory traffic light labelling on packaged foods to help consumers pick the healthiest option. 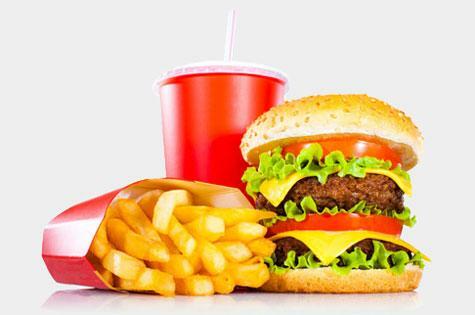 The food industry is too powerful even more powerful than doctors which is saying something. On this one, doctors are right but they need to donate more money to political parties to get noticed. Boo to the nanny state!